Earlier this week, we looked at nightmare scenarios in the West. And we all know bad dreams don’t discriminate by geographic location. Well, I guess they don’t cross international borders this year. Sorry, someday I will have to stop making jokes at Canada’s expense. Washington was going to be good. We all knew that. But 120 points and 11 ahead of the next best team? 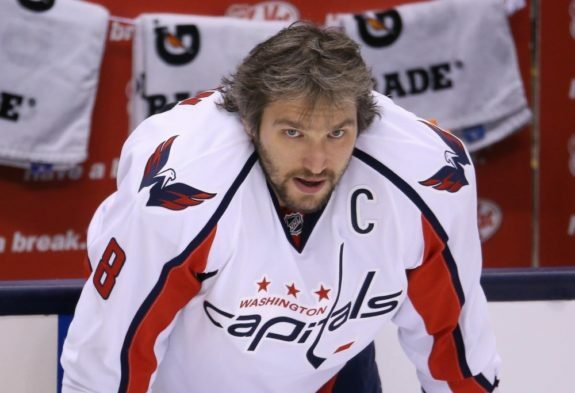 This season may be the best shot Alex Ovechkin has at a Stanley Cup. On the surface, his squad is perfectly primed in all facets of the game. Holtby now holds wins record with a legend, Ovi himself has another 50 goals, and the defense is fully healthy. What could go wrong? 2010 provided the answer. The Caps blew a 3-1 first round series lead as the President’s Trophy winners in 2010 to the Canadiens. If there is one thing that can bring down a juggernaut, it’s their own heads. For the Capitals, it is time to exercise some demons. The offense has begun to purr like the well-oiled machine it was supposed to be. But the Pens all of a sudden find themselves without a man to mind the nets. 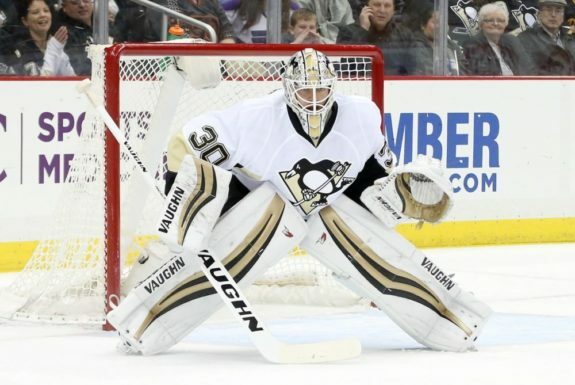 Marc-Andre Fleury was felled late in the season with another concussion. His backup, Matt Murray, is also injured with an upper-body knock. So, on the biggest stage, against the best of opponents, the Pens may have an unknown as their last line of defense. The playoffs are a series of momentum swings. If they’re hamstrung by soft goals from either weakened or inexperienced goalies, they will be playing from behind a lot. That is not a recipe for sustained success. What a wonderful story the Panthers are. Just ripe for a nightmare ending, don’t you think? 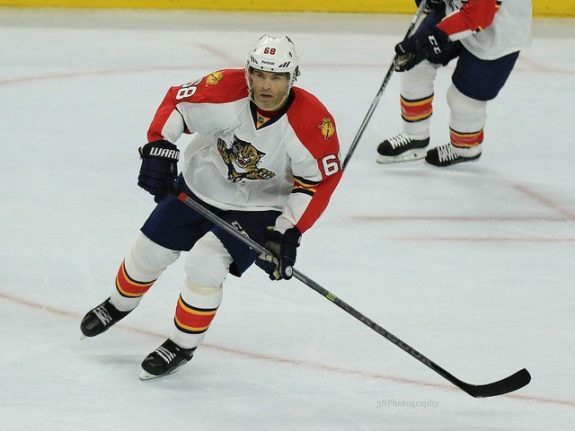 Led by senior citizen and hair magazine cover boy, Jaromir Jagr, the Panthers soared well past preseason expectations. The Cats were reliant on elite play when at evens. Their shooting percentage and save percentage at 5v5 were both top 3 in the league. But in the playoffs, special teams can swing an entire series. Failure to score on a 2-man advantage can bring down a club while giving up another power play goal would be just as damaging. If Florida is unable to bring at least one aspect of their special teams up to snuff, this dream season will end poorly. When you look at the stats, it’s almost hard to imagine they made it to the playoffs. They are the worst possession team (47.4%) in the postseason, outshot by 156 at even strength, and are middle-of-the-road on the power play (14th). But one (technically two) advanced stats are powerful reminders that the Rangers belong here. PDO (on ice save percentage and on ice shooting percentage) for the Rangers is tops in the league. It means two things, Henrik Lundqvist has been lights out (93.4% team save percentage) and the Ranger shooters have connected despite not shooting much (9.0%). But PDO is a stat that tends to change. And the more likely of the two to drop is shooting. If Hank gets burned early, the Rangers will have to take over the possession game, something they have failed at all season. Fortune has not favored the Lightning. They are banged up in the worst way at the worst time. 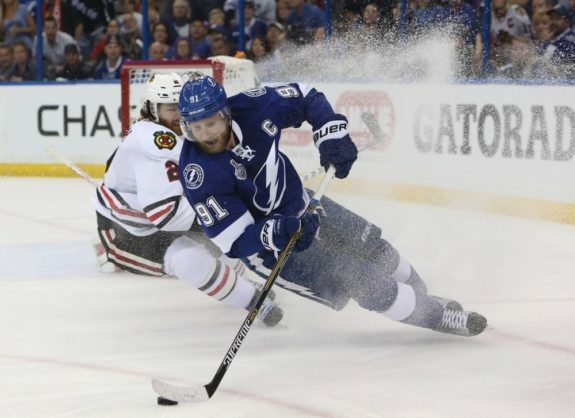 Top player, captain, and hair model Steven Stamkos is out with a blood clot; Tyler Johnson is questionable for Game 1 (at least), and Anton Stralman is also going to be missing. The replacement? Just that Drouin guy who threw a temper tantrum earlier this season. Yes, the Lightning have to hope that Jonathan Drouin will be able to plug the wound while Stammer tries to make it back in time. He is definitely talented, but I hesitate to put my faith in the unproven talent. Pray to the hockey gods, Tampa. Stamkos can’t heal soon enough. The window for Red Wings success is closing. Everyone wearing a letter in Detroit is at least 35 years old. 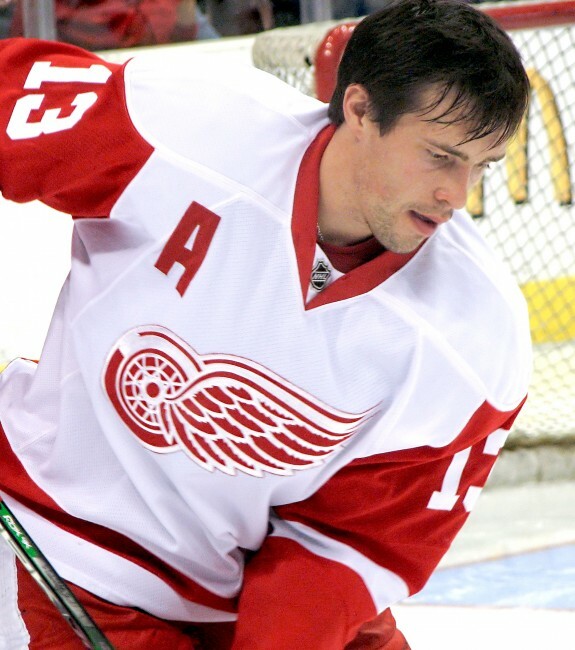 Pavel Datsyuk has hinted he may be done with the NHL after this year. They barely extended the historic playoff streak by limping in on the last days. And they are also the only team in the postseason with a negative goal differential. Yikes. Next, Petr Mrazek and Jimmy Howard, who were incredible early but both suffered slumps at different points in the season are the options in net. Howard is likely to be the number one choice, and if he isn’t solid, the Wings will be golfing soon. The Isles are entering the playoffs with two major injuries. Top blue liner, Travis Harmonic, and starting goalie, Jaroslav Halak, are both out and it is uncertain when they will return. Thomas Greiss played an outstanding goalie early on this campaign, but has never faced playoff hockey. And we all know that this is a different animal. The Islanders are deep defensively, but it still hurts to lose a key leader (let alone two) in the back. Greiss must have a strong showing to give New York a chance. But if he gets shaky early, the series could be over just as quick. The Flyers were one of the hottest teams coming down the stretch. Going 20-9-6 over the final 35 games, Philadelphia surged into the final wildcard spot. Much of that can be attributed to the stellar play of netminder, Steve Mason. 13 of the final 14 contests were started by Mason, and while he provided stability in the back, the Flyers may have worn him down. 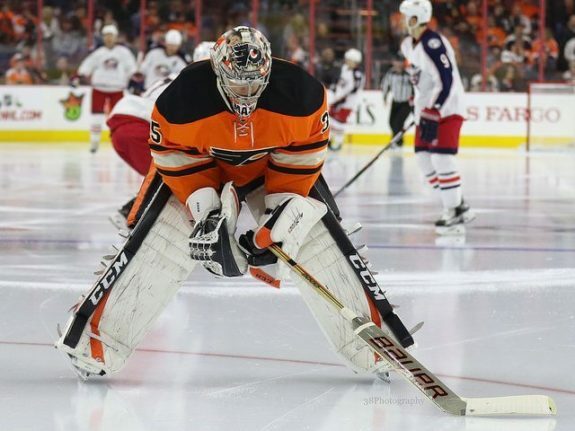 If their keeper can maintain his rate of play, the Flyers can be dangerous. But that is one big if.